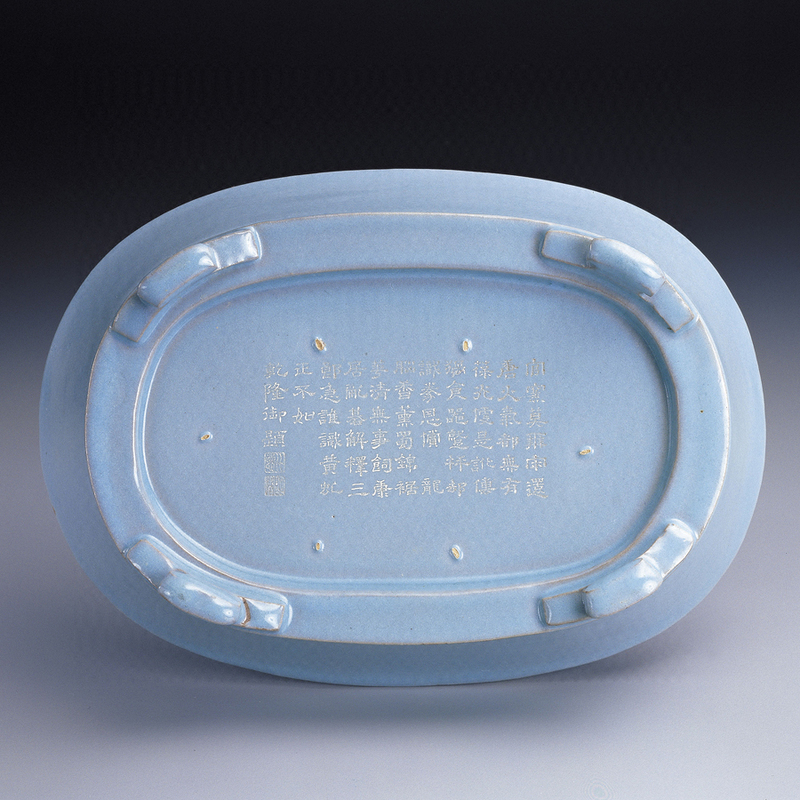 This oval dish has deep, slightly flaring sides, a flat base and four cloud-shaped feet. The body is very thin on the sides, becoming slightly thicker on the base and feet. It is covered all over in a light blue, highly lustrous glaze, which shows a hint of green at the base: the glaze is slightly thinner at the rim and the corners. During firing, the piece would have been supported from underneath by small points on the feet, and on these parts the cream color of the body can be seen where the glaze did not cover them. The glaze over the whole piece has a wonderful smooth quality, devoid of any markings, a very rare feature among extant examples. This lustrous, elegant aesthetic, and the harmonious effect it produced, was much sought after during the Sung dynasty.